Kinesio® Taping is a method used to help support the musculoskeletal system during healing and recovery, providing flexible support that doesn't interfere with movement and range of motion. 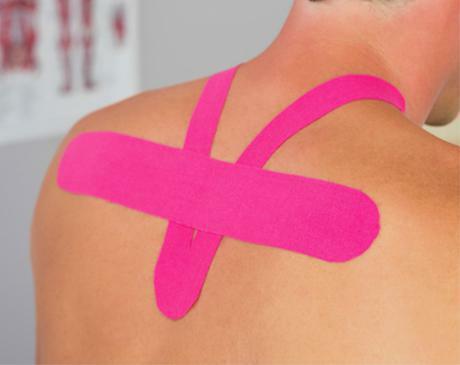 Kinesio taping is an extremely popular therapeutic technique among professional athletes, who rely on being able to remain active even while their bodies heal following injury. Because it provides flexible support, Kinesio® Taping allows muscles and other soft tissues to stay active so they don't “freeze up” or become stiff during healing and recovery. Providers at Midtown East are certified in Kinesio® Taping, and are excited to see you today. Book an appointment online or call the office for more information.